How Do Fitness Trackers Work And Are They Even Accurate? →How Do Fitness Trackers Work And Are They Even Accurate? Just a few years ago, wearable fitness technology was just as basic as measuring sprints when exercising. Today, fitness and activity trackers are doing everything from measuring heart rate and quality of sleep to counting the number of calories burnt in various activities. Thanks to the everyday technological growth, popular companies such as Fitbit and Garmin continue to invest in modern fitness trackers all with one goal: better heath for smart people. So, the question is this: how do fitness trackers work? How Do These Things Even Work Anyway? While they may sit on your wrist like any regular watch, they come with complex sensors that utilize sophisticated computer commands to give instant feedback to the user on various workout stats. These devices push to improve the overall health of users by constantly monitoring their heart rate, calories burnt, and quality and quantity of sleep. Some people have even argued that these play a significant role in weight loss, but there aren’t any conclusive studies to prove this. To understand how fitness trackers do their job, we need to look at the built-in technologies, or the building blocks, used by different brands in the design and implementation phase. Fitness trackers use sensors to measure motion in your body, and this data is interpreted with the help of complex algorithms. Different technologies are used to collect this data, so two different devices may not give you the same results, even if they come from the sample company. Despite the differences in the results, both high end and reasonably priced tracking devices are a safe bet that can give you an overview of your workout and regular activities. Depending on the model, various trackers use different sensors for motion tracking and measurement of such variables as frequency, time, acceleration, and movement patterns. Collectively, this gives a good estimate of the overall measures in your body. At the very basic level, almost all fitness trackers are fitted with three-axis accelerometers measure orientation, acceleration and movement intensity. If the accelerometer registers little or no movement, this is interpreted as the “sleep state”. Some are fitted with a gyroscope sensor to improve the accuracy of the rotation as well as orientation measurements. Over the last couple of years, the GPS technology has become more technical to compete. But with the advent of digital minification, it has become more efficient to scale such complex technology in small motherboards. GPS (Global Positioning System) comprises of system of satellites orbiting the earth, which can be used to accurately pinpoint your exact location. Activity trackers use GPS receivers to allow runners and cyclists to analyze the terrains and map their exercise. Pedometers are used to keep track of the steps while walking, running or hiking. By measuring the movement and rate of movement, the number of calories burnt can be fairly estimated. 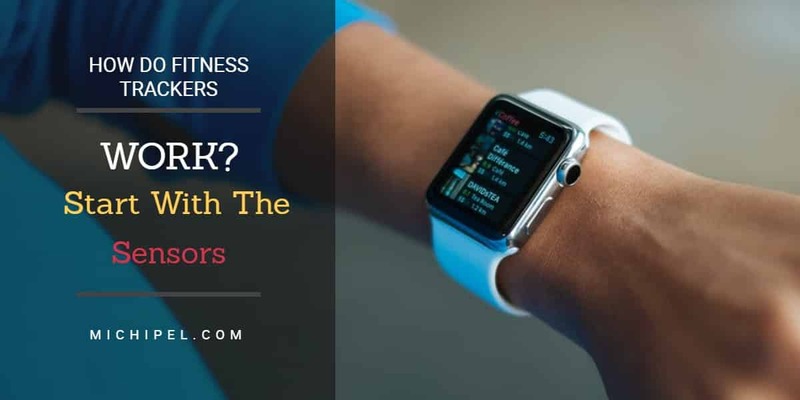 Optical sensors in fitness trackers are primarily used to measure the pulse rate by illuminating the body capillaries to appraise the rate at which your blood is being pumped. Blood absorbs light, which means that by shining some light on the skin, fluctuations in the intensity can be directly translated into the heart rate. Obviously, the tracking device has to compensate for the skin tone of the user, which makes them less effective. The human skin is a good electric conductor. Different tracking devices use different skin response sensors to monitor the kind of activity being done. Take Galvanic skin response sensor, for example. It uses four electrodes to measure the skin’s resistance to a small electrical current. Whenever you experience an arousal – of any kind – your skin becomes a better conductor and the fitness tracker can actively register that reading. When exercising, your skin naturally begins to sweat. As such, the activity monitors are able to correlate the rate of sweating and electrical connectivity of the skin with the activity in question. In fact, modern trackers can actually take a more advanced trainer role – recommending certain exercises and the physical energy required to the user. A more advance version of the galvanic sensor is the Bioimpedance sensor, which not only monitors the skin receptor cells but also measures the respiration rate and hydration of the user by measuring the oxygen levels in the blood. 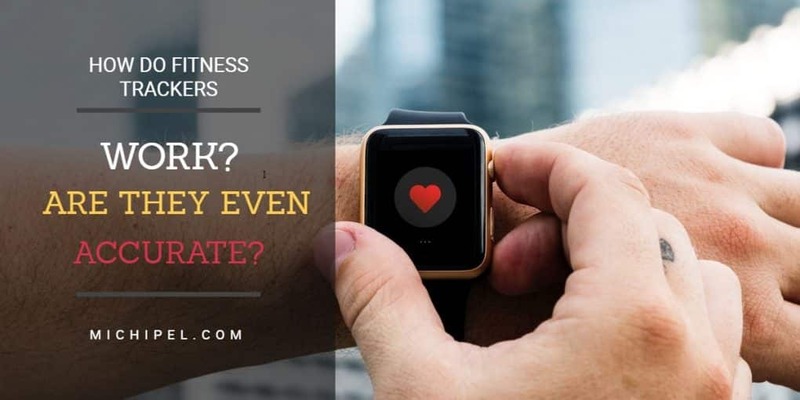 Since various companies use different sensors and algorithms in their models, it’s not surprising to track and record different metrics on different fitness trackers. You will realize that certain stats don’t really count, but that depends on what you are monitoring. 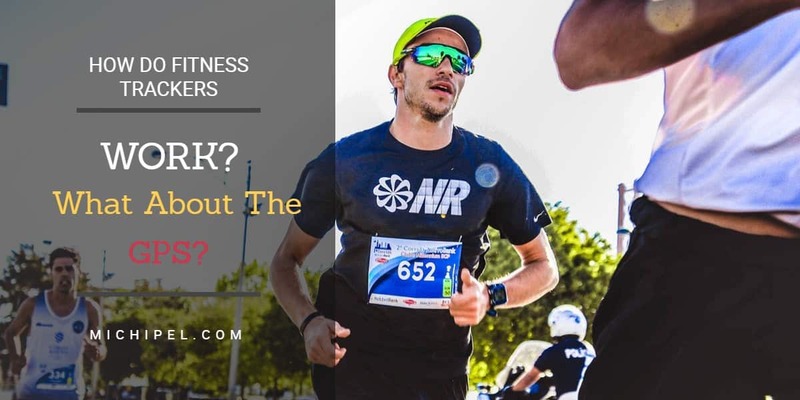 What we do know now is that most fitness trackers can measure the number of steps taken and the rate of movement because accelerometer technology has greatly improved over the years. Again, when measuring the number of calories burnt, the readings registered are highly dependent on the user info provided. This is because the algorithm uses such personal information as age, weight, and gender to process the data collected in every activity. In other words, the accuracy of the device may be greatly influenced by the user’s candor. Fitness trackers mainly use accelerometers to measure wrist movements during sleep to estimate the quality of sleep, a process called actigraphy. Some brands claim that their devices can measure the stages of sleep by recording the number of times a user wakes up. However, scientists have repeatedly discouraged people from relying on such metrics since there are many oversights involved, especially for people with sleeping disorders. Fitness apps are the final link to the ever-growing success of the gizmo. 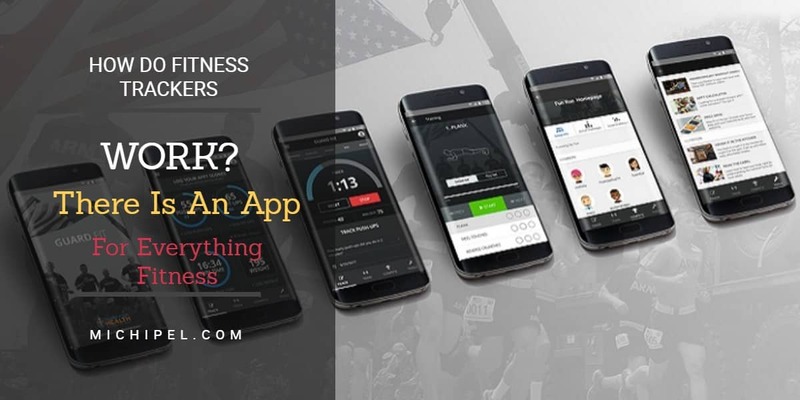 Modern trackers automatically sync with Android and Apple smartphones, allowing you to access all your exercise data via one app. You can actively add data on the app, exercise manually and monitor your body stats from your handheld device. As technology continues to advance, we can only expect the growth of the fitness tracker industry. From exercise data interpretation to illness prediction alerts, it’s all about the sensors working with smart algorithms to give you a fairly clear picture of your overall health. Though each tracker model is different, there’s certainly something for everyone, both in terms of design and data collection.